Don’t want your web (cloud) account password to get hacked? Enable Two-Factor Authentication (aka two-step verification)! Whenever you sign in to Google, you’ll enter your password as usual. Microsoft enabled a security code for enhanced security. Two-step verification helps protect your account by making it more difficult for a hacker to sign in, even if they’ve somehow learned your password. If you turn on two-step verification, you’ll see an extra page every time you sign in on a device that isn’t trusted. The extra page prompts you to enter a security code to sign in. We can send a new security code to your phone or your alternate email address, or you can obtain one through an authenticator app on your smartphone. Move your cursor over your profile photo at the upper right of your homepage and select Privacy & Settings. For verification purposes, you may need to sign in again. Click the Account side tab by the shield icon towards the bottom of the page and select Manage security settings. Click Turn On under the Two-step verification section. Enter your cell phone number to receive a verification code. Once you receive the code sent to your phone, enter it into the box on the device you’re using to sign. TFA is available for enhanced authentication security with several available methods. We recommend authenticating with a Time-based One-Time Password (TOTP) application, which automatically generates an authentication code that changes after a certain period of time. TOTP applications are more reliable than SMS, especially for locations outside the US. For more information, see Configuring two-factor authentication via a TOTP mobile app. If you’re unable to authenticate using a TOTP mobile app, you may be able to generate codes using SMS. This method isn’t recommended for non-US numbers; before configuring authentication via SMS, review our list of countries where GitHub supports authentication via SMS. For more information, see Configuring two-factor authentication via text message. After successfully setting up 2FA, you’ll be provided a set of randomly generated recovery codes that you should view and save. We strongly recommend saving your recovery codes immediately. If you don’t, though, you can download them at any point after enabling two-factor authentication. 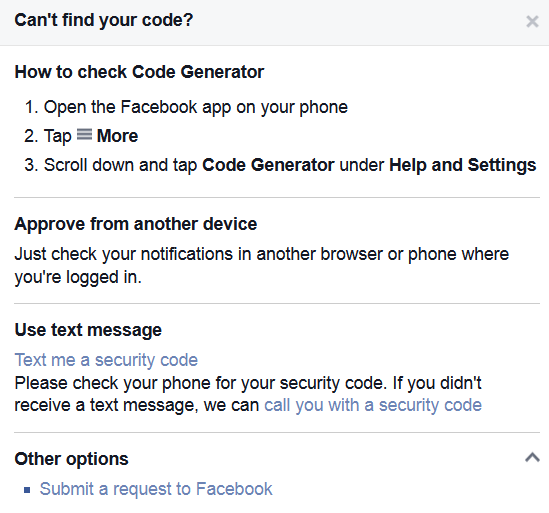 For more information, see Downloading your two-factor authentication recovery codes. You can provide a second number for a fallback device. If you lose access to both your primary device and your recovery codes, a backup SMS number can get you back in to your account. You can always switch between receiving authentication codes through a text message or a mobile application. Facebook enabled a second factor check for logons from new devices a few years back. Slack Two Factor Authentication (TFA) supports both an authenticator app and SMS (text) messages. Two-factor authentication (2FA) adds an extra layer of security to your Slack account by requiring access to your phone when you log in. With 2FA enabled, you can rest easy: Only you can log into your Slack account, even if your password is compromised or stolen. Whenever you sign in to Slack, you’ll be prompted to enter a verification code along with your normal password. You’ll either receive a text message from Slack with your authentication code, or easily generate your code using an authentication app on your mobile phone. Enter the code in Slack, and that’s it! You’ll be logged into Slack as usual, with added peace of mind.